The lifting lifestyle isn’t just picking things up and putting them down, it’s so much more than that. It’s a combination of discipline, time management, motivation, healthy eating, sacrifice and of course, research, research and research. And if you’ve been lifting for a while, you’ll know exactly what we’re talking about. 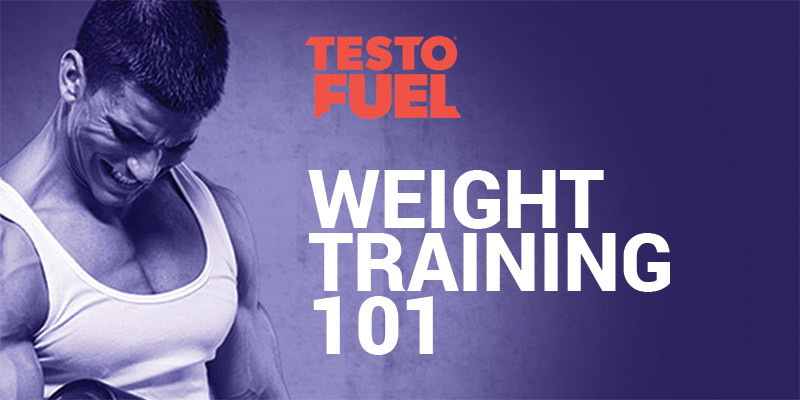 Introducing the TestoFuel 4 Week Workout Plan, a 28 day plateau-busting masterpiece. This month-long layout will give all of your muscles the attention they need to tighten up and grow bigger and stronger than you’ve ever been before, not to mention a steady a rise in your testosterone levels. This 28 day plan is for anyone who’s looking to pack on more muscle mass. Whether you’ve just started seriously lifting weights, or you’ve been in the gym for a few years – it’s ideal for either building up size and strength, or for pushing through a difficult plateau you’ve been stuck on for a while. This full-on month plan will demand everything you have. From monster compound lifts, to precise, isolation work, these exercises will build-up both your muscle development, and your strength for that powerful looking physique. What’s more, this month-long session of heavy lifting is going to wonders for your testosterone levels too. During recovery from these heavy sessions, your body is going to respond ten-fold, by delivering you increased testosterone to help you recover better and stronger. Can I add more to this workout? We understand that some guys can handle a higher workload than others – or maybe they just some alternative exercises. Whatever the reason, feel free. This 4 Week Plan does not need to be followed religiously (although you can if you want to), it will work more as a rough guide to what you should be doing each day for the most benefit. Just make sure you’re training on the days that you need to. As long as there’s plenty of isolation and compound movements being performed with the main muscle groups multiple times a week, you’re definitely going to see improvements. Stick to it, you’ll thank yourself later. If there’s an exercise in this routine that you’re not fond of, feel free to change it for an alternative. You can find some suitable inspiration over in our workout guide section. Unlike the other programs you can find on the TestoFuel website, this program runs for 28 days. You can expect it to be in-depth and a lot more structured than the other training programs we offer. In addition, you’ll also find a collection of suggestions and activities you can perform on rest days. These are very low-intensity tasks that are easy on both your body and mind, helping you to recover and relax. Overall, if you’re looking for a comprehensive 28 day plan to cover all that covers the major muscle groups and to get that extra boost in your testosterone levels, there is no better option than this simple 4 week plan. Designed to raise your strength, size and testosterone levels. This is your ultimate tool for building a better you, whether it’s busting a plateau, or you’re just stepping up your game, it’s a great resource for personal development. If you’re looking for the best results possible when training in this program, you need to make sure you have your hormones optimized so you can make the most amount of gains. What you want is a natural testosterone booster, and TestoFuel is the best on the market. Packed with everything your body needs to naturally increase its testosterone levels, TestoFuel is ideal for anyone who’s looking to gain strength, increase muscle size and generally see better results in the gym.